Journalists’ organisations in Mumbai and Maharashtra on Wednesday strongly condemned the killing of Bengalaru journalist-turned-activist Gauri Lankesh and demanded that the Karnataka government order a CBI enquiry into the murder. The Mumbai Press Club (MPC), the Mumbai Marathi Patrakar Sangh (MMPS), the Mantralaya Ani Vidhimandal Vartahar Sangh (MVVS), the TV Journalists Association (TVJA) and others, in separate statements, expressed outrage at the brutal gunning down of Lankesh in her home by unknown assailants on Tuesday evening. 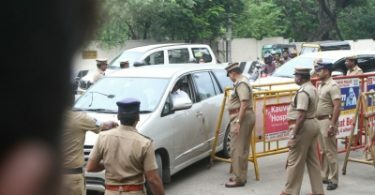 The MPC urged the Karnataka government to hand over the investigation into the sordid killing of the 55-year old Lankesh to the Central Bureau of Investigation (CBI). It also demanded that the state government must ensure the culprits are subjected to maximum punishment, be they foot-soldiers or the masterminds. “If this is how the Fourth Estate is going to be treated by the powers that be, while the government looks the other way, it is indeed a black hour for Indian democracy,” said the MPC. “This is not just the killing of a journalista It is the murder of the freedom of thought and expression. Ideological issues must be fought ideologically, and the government must take this matter seriously,” said the MVVS. All media organisations, Left parties and civil society groups have planned protests in Bandra, Chhatrapati Shivaji Maharaj Terminus, Navi Mumbai, Thane, Kalyan, Vasai, Palghar, Pune and other parts of the state. The MPC has organized a candlelight vigil at its Azad Maidan headquarters where different associations including Photographers Association, Network of Women in Media and other groups were to participate. 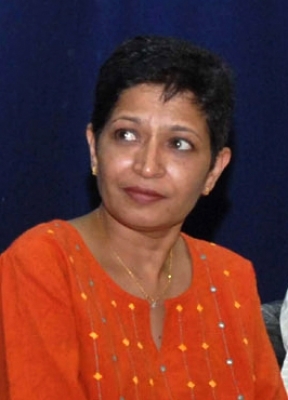 Lankesh was the editor of a Kannada language weekly tabloid, ‘Gauri Lankesh Patrike,’ noted for its independent views. Like her father, who was a noted Kannada writer, she faced opposition and criticism over her fiercely independent style of journalism. She is survived by her mother, sister Kavitha and brother Indrajit, who manages the tabloid. The MPC said that in the time of crisis, it stands behind the family and urged for a speedy investigation and trial in the case.